From the latest Compass Newsletter from RCM–SAR. 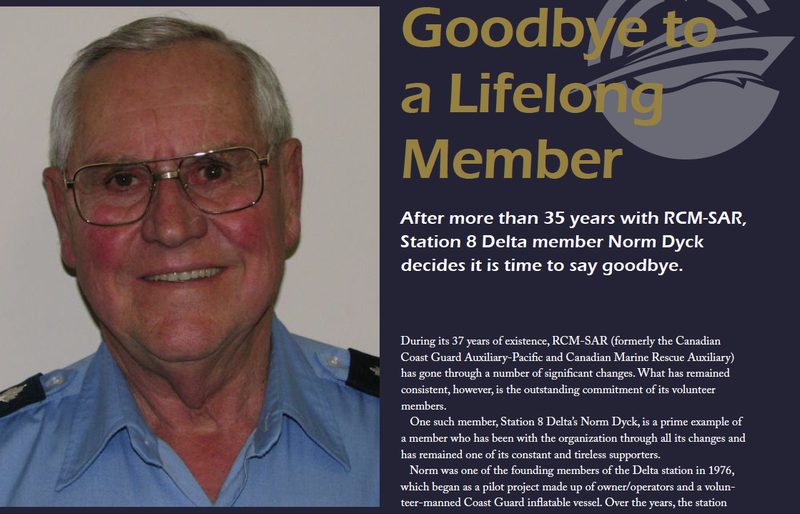 After more than 35 years with RCM-SAR, Station 8 Delta member Norm Dyck decides it is time to say goodbye. has remained one of its constant and tireless supporters. vessel, Spirit of Delta V.
it was to the sophisticated organization it is today. Norm’s contributions have not gone unnoticed by his fellow volunteers. You can download a copy of the Compass here for the full story and much more.